John represents the Sheriffdom of Lothian and Borders. He usually sits at Selkirk or Jedburgh. He has been a JP for eighteen years and an appraiser for eight years. He previously served on SJA from 2009-2012 and on Lothian and Borders Training and Appraisal committee. 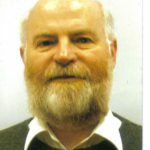 He qualifed in medicine in Belfast in 1973, and worked in Glasgow, Ayr and Aberdeen before settling in the Borders, where he worked as a country GP for 20 years. He later worked part time in repatriation medicine and occupational health but is now fully retired. His main leisure pursuit is curling – he is an international umpire, a delegate for Ireland at the World Curling Federation Congress, and has played for Ireland at senior level as well as for his local village club.